Flat roof repairs and installations, Slate and Tile repairs, Leadwork and Velux window installations. Hurricane Roofing Solutions provide professional roof repairs and Maintenance in Huddersfield, Yorkshire. 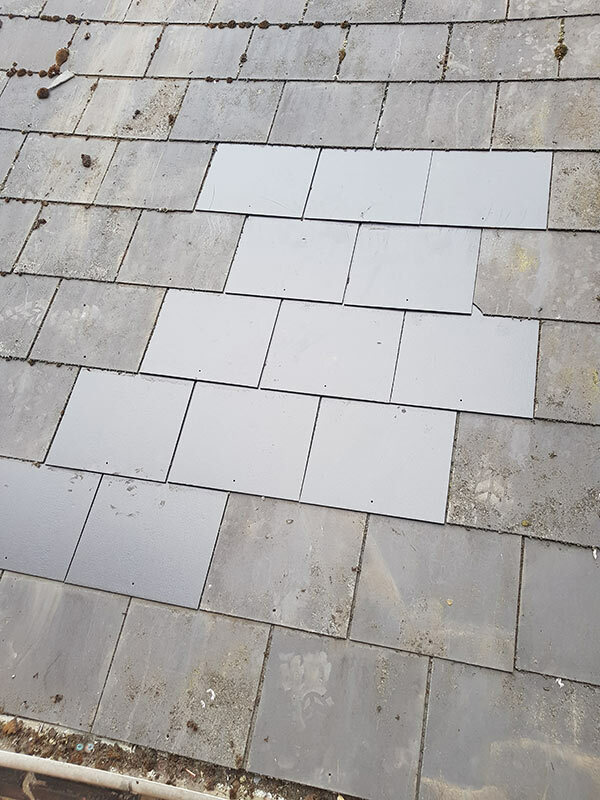 Whether you have one loose tile, a few square metres of tiles or need a whole roof replacing, hurricane roofing are specialists in all types of roof repairs and maintenance including slate and concrete tile replacements, flat roofs and garage roofs. 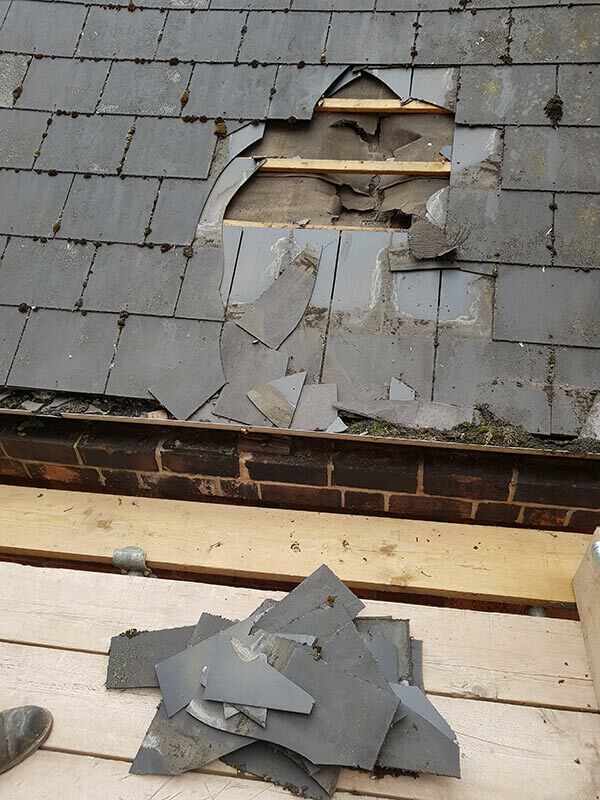 It’s important to get any roof damage repaired quickly and safely to prevent any further damage to the remainder of the roof, walls or internal decoration. Hurricane roofing has the knowledge and equipment to carry out specialist roof repairs in a safe and efficient manner. As well as general roof repairs, we also repair the lead work or lead flashing around chimneys, abutment walls and roof valleys, lead flashing is another key element in keeping water out of your home. All Health and Safety procedures are followed and we’re fully insured and guaranteed for your peace of mind. 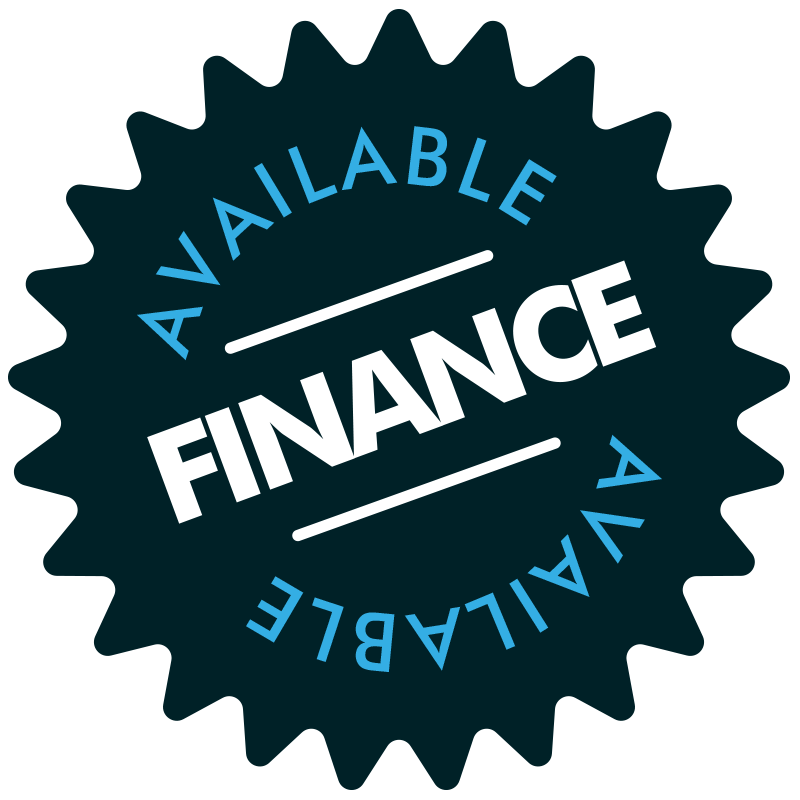 For any type of roof repair, large or small, contact us today for friendly professional advice and a free, no obligation quote. Hurricane roofing also provide a 24 hour emergency roofing call out service and will be on site to repair your roof damage within 2 – 3 hours (depending on where you live).